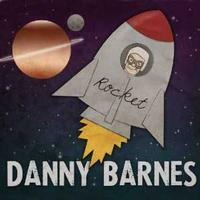 Danny Barnes is an interesting artist with a difficult to categorize sound. Although very bluegrass/folk and rock influenced, Barnes is an eclectic artist whose music has a “more prog than not” vibe, so it gets included in that category here. Joined by a killer band (including Dave Matthews) Barnes and company pull off a finely crafted disc that longs for a follow up in the same vein. Barnes plays banjo, barnjo (a six string solid body electric banjo) guitars, baritone guitar, loops, vocals and programming, along with Mark Chamberlain on drums, Zac Rae on keys and nass, and John Alagia and Dave Matthews on background vocals. It’s not so much a question of what more Barnes could do, but when will he do it. This disc begs for more of the same from this effective singer, songwriter and string specialist. Big hooks galore open the set with a very heavy, yet light, tune with a subtle banjo to introduce the instrument. There is no mistaking that something special is going on here. It’s a nice opener with a perfect mix of ups and downs. Not getting too far away from the same vibe, there is more banjo in the air, but still only for inflection. The whole track is contagious from beginning to end, and one of the more satisfying cuts out of the whole eclectic pile. Keeping the same tempo, this is equally satisfying but with a softer vocal delivery and no banjo on display. That instrument is replaced here by a lovely guitar. The title says it all, leaving no mystery and imagination, as he gets right to the point. This is where the banjo, or barnjo (it’s not easy to tell) comes back. It also has more of a fitting vocal for the instrument, as the bluegrass factor is undeniable. This is a fantastic spiritual number with a positive lyric. Some attitude enters the picture with a harder rock inclination, as Barnes bangs away with even a slight punk vein to the vocals and guitar. Like everything on Rocket, the songwriting is excellent. While giving it a stamp all his own, Barnes still stays faithful to the original. It’s a brave tune to muster because the chance of failure is a big risk. Still, it’s a fine version and cool to hear from this angle with the featured instrument getting quite involved. There is a more than slightly “Dylan on steroids” approach here. The song is about being sick of the same old thing. It’s a fast-paced folk rocker with a similar vocal sound as the previous track. There is a lot of guitar bite without being too clever with the virtuosity as it has more of a garage feel. This is a very well put together song with a stoned-out groove to it, and it even indicates that vocally. The perfect amount of distortion applied to the guitars really helps get that whole factor across, and it’s just a lot of fun. A false start with a squeal from the guitar moves into another of the softer vocal performances. It’s enhanced by a fine, if still a bit understated, banjo showing. Understated, that is, until he takes a sweet solo that really makes the whole song shine with some awe inspiring chops. This has a dark vibe, yet the banjo lightens it up just enough. This contains more of that southern flare mixed with a strong pop feel as the title track maintains the interest, with zero ponder factor. It cruises along nicely before a sonically teasing outro. Taking things down again, this is an even lighter tune with a “one by one” philosophy that makes it all the more enjoyable. Great vocals and killer banjo with an almost classical feel are what make this one of the more interesting and accessible tracks. It’s a soothing tune with a healing result. Staying with the lower register, this is another tune of the more ballad-like variety.